Conversations and Email Marketing: What’s the Relationship? As humans, we’re always having conversations: with our co-worker, friend, partner, or even with our leads and customers. The conversations we have shape our professional and personal lives. Having great conversations is what inbound marketing is all about: attracting the right visitors to your site, engaging with them, and nurturing them through their customer lifecycle. Your emails shouldn’t be any different. Having a great conversation is as much a part of email marketing as your subject line. So how do you create a relationship between your email marketing and your conversations? Conversations are everywhere. Think about the last conversation you had and where that conversation took place. There aren’t many places in our world today where we don’t have conversations. We communicate through multiple channels, such as phone, email, Facebook Messenger, and text. So what exactly is a conversation? Generally, a conversation is defined as an oral exchange of sentiments, observations, opinions, or ideas between two or more parties. But as technology is evolving, there are more ways we are communicating. So the conversation definition needs somewhat of an expansion. A conversation is an interactive communication between two or more parties. You might think conversations only occur in newer technology such as messenger and chatbots. But never leave email out of the equation. To send highly engaging emails your contacts want to interact with, those emails need to be human. There is no better way to be human than to have a conversation. So what are the ways you can create great conversations with your contacts through email? Want to learn more about conversations? Check them out here. How Do You Create Conversations in Emails? Send email based off behavior. Behavioral email means sending targeted emails to your contacts based on their actions and behaviors. Behavioral email focuses on the idea that every interaction a user has with your company should have an expected and appropriate reaction. By looking at all the interactions and your prospects’ responses, you can start to develop a sense of your contacts’ behavior. Each person in your contact database will tell you, by their actions, how often you should send them email. The biggest piece of advice I can give for creating conversational emails is to be human. This means keeping it real and sometimes uncomfortably honest, using words you’d use in everyday language. Write copy that sounds like it came from a human. Remember that your email is going to a human, so the language you use should reflect that. Instead of trying to sell your products or services (which you know are great), spend time in your emails giving recommendations, interviews around subject areas that you have, or tips and tricks of how to do something you know your contacts will love (based on their behavior). Sign your email with a name that your contact might recognize. It doesn’t have to be “xoxo,” but a simple “Thanks, Court” will go a long way. Want more tips on writing email copy? Check it out here. 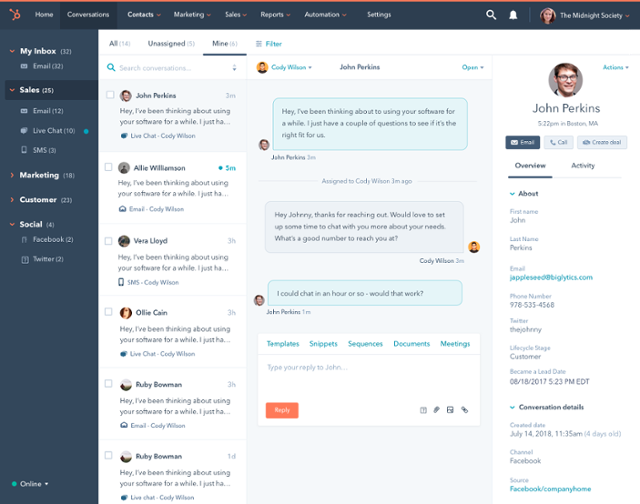 So how can you organize your conversations in HubSpot? One of the most important aspects of email marketing is understanding that your emails don’t live in a bubble. Your contacts engage with all types of content you create on every channel you use. 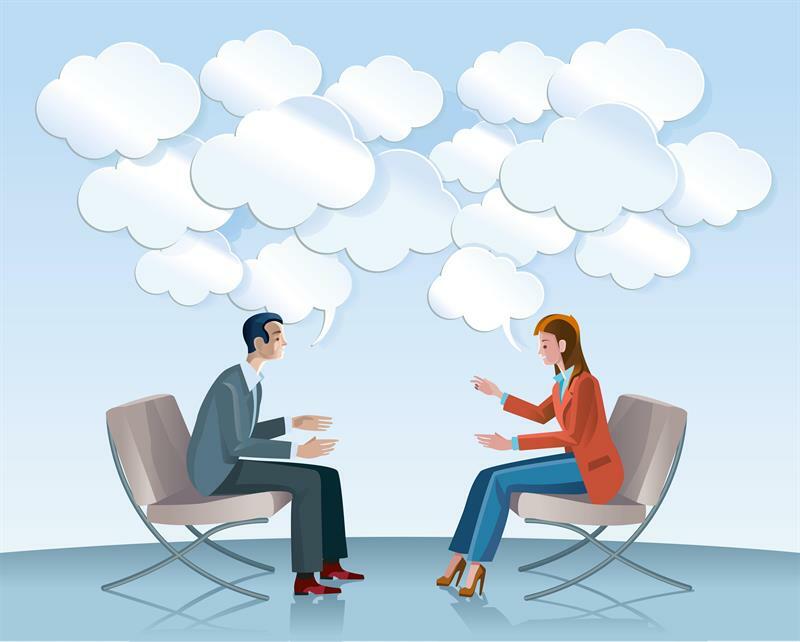 It can become overwhelming to keep track of and understand all the types of conversations you are having. And because email marketing continues to be a powerhouse in your inbound marketing strategy and continues to evolve, understanding where your emails fit into the conversations will be extremely important. A well-positioned conversation will be more engaging than a well- designed email with tons of bells and whistles. This is where HubSpot comes in. He is referring to the new HubSpot conversations tool. The tool is designed to help you organize and keep track of all the conversations you’re having across multiple channels. What can you expect from the product? Conversations will be different from the other conversation tools on the market today. The key difference is that you’re going to be able to tie all of these conversations directly to your CRM. Multi-channel: Conversations unifies conversations from Facebook Messenger, onsite chat, social media, email, and other messaging outlets into one shared inbox. Tied into a CRM: Rooting messaging into a CRM enables companies to have the full context of past interactions wherever and whenever they may have taken place. Scaleable with chatbots: Conversations will enable companies to build chatbots without needing technical skill and scale responses to match high- volume inquiries. Your inbound marketing strategy should focus on being human, helpful, and holistic. There is nothing more human than having a great, contextual and timely conversation. Want to learn more about HubSpot Conversations?